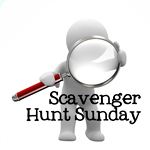 Anyways, it’s Scavenger Hunt Sunday and I’m really excited to share my interpretations this week. 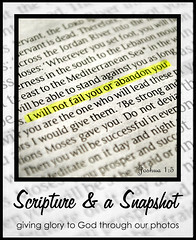 If you’ve been participating in the Scavenger Hunt each week, I hope this week’s items inspired you too. If you’re new to the Scavenger Hunt…WELCOME! 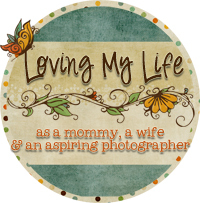 Next week’s items are sponsored by The Paper Mama, the December 2010 Photo Hunt, Patina Moon, 4 Lettre Words and Loving My Life. I have this polka dot cone sitting in my den. 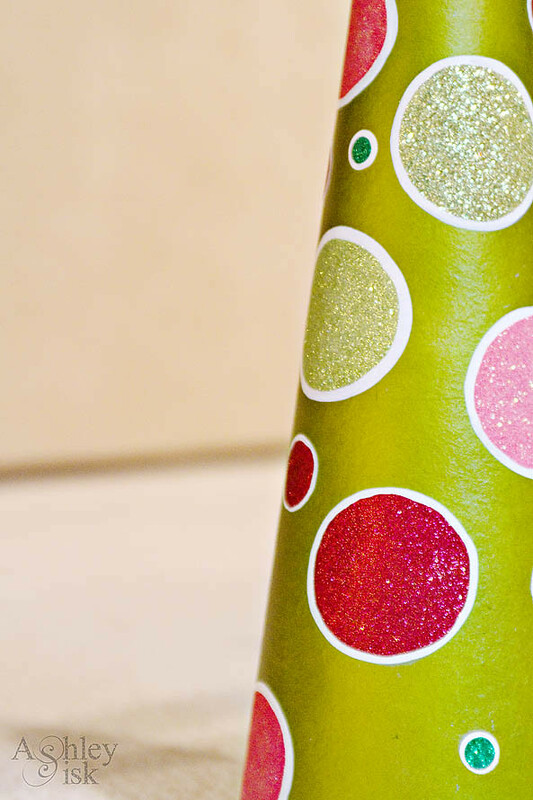 It kinda looks like a dunce hat but I love the vibrant Christmas colors. 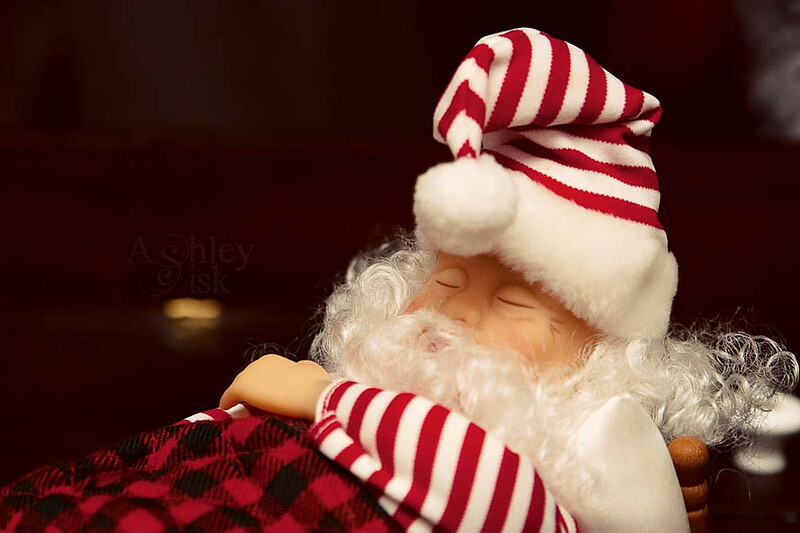 I shared my sweet “eight pound, six ounce, newborn baby Jesus” picture last week…but let’s be honest, what is Christmas without Santa Claus. This one is getting his rest. Karli inspired me last week with her amazing upside-down tree and lens photo. So, I decided to give it a try. In the process, I’ve discovered that I really need to dust (can you see it?). I’ve linked Karli’s brief tutorial below. Check it out! 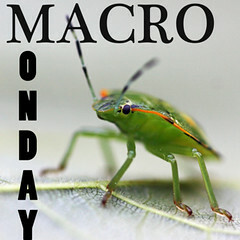 For this particular shot, I was inspired by Laura’s (Blogging from Bolivia) macro on Friday. 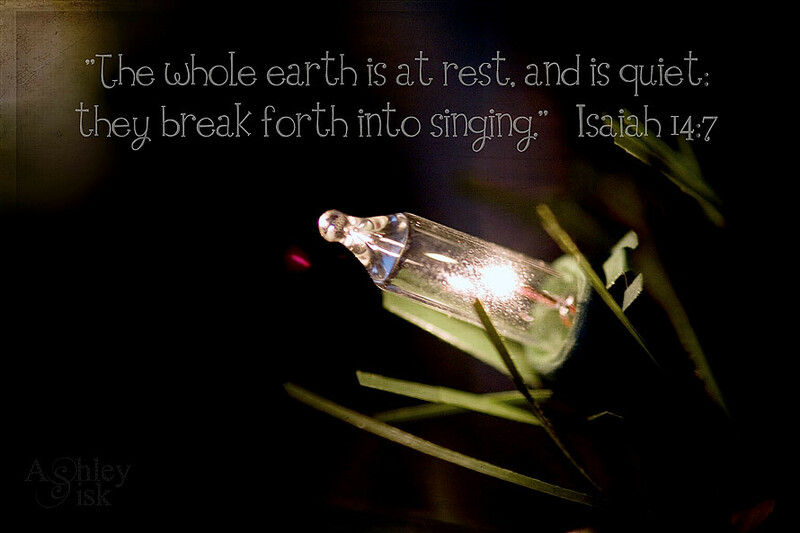 I wasn’t quite sure how to interpret “quiet,” so I went with some scripture instead. I actually love a lot of different colors but pink is probably my favorite color. 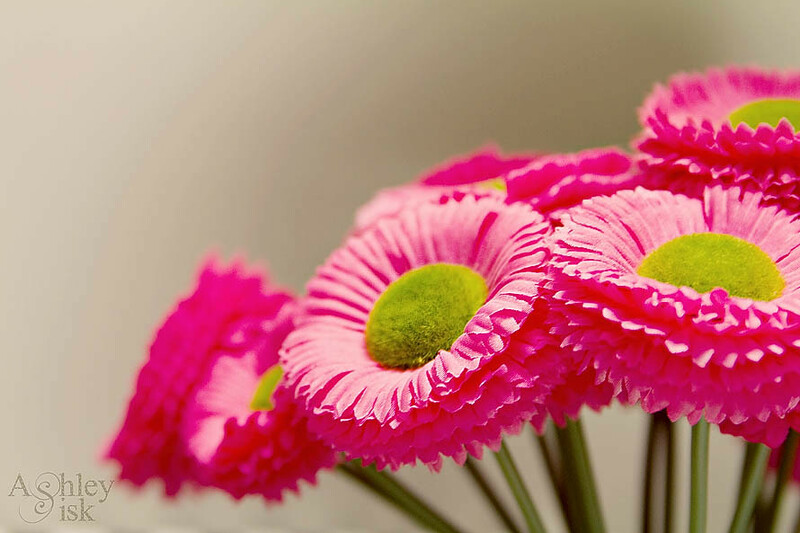 Several years ago, my mom gave me these flowers to decorate my office. I typically kill plants and flowers, but these never die. Again, thank you Chelsey, Becca, Sarah and Dina for so many great scavenger hunt items. If you’d like to contribute items to the list, just leave me a comment or send me an email with your suggestions. 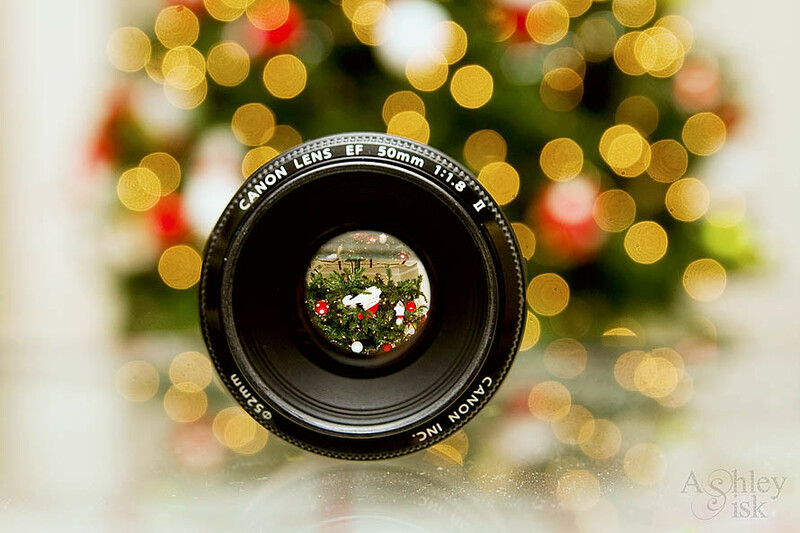 Each week, I will select one reader’s prompt list, add those items to what is currently on tap (I’m trying to link up with the Paper Mama and/or Paper Heart Camera, and the December Photo Hunt), and give the selected reader a shout out on my blog during Scavenger Hunt Sunday.